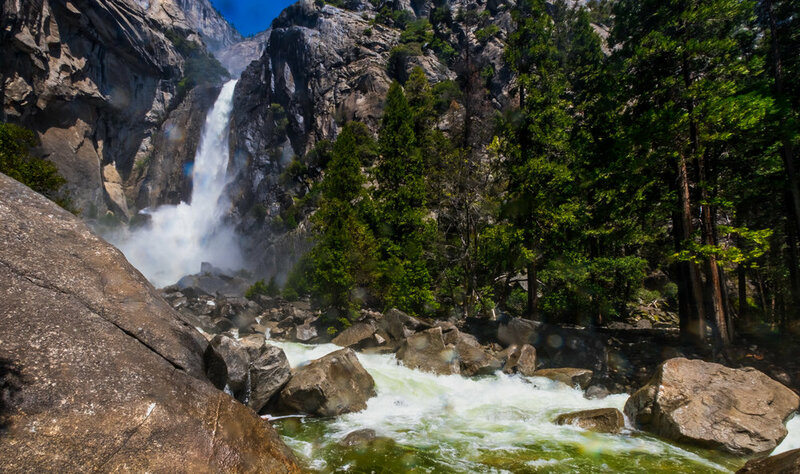 From one year ago all the waterfalls in Yosemite were bursting with a near record snow melt. This is the lower portion of Yosemite Falls and from this distance we were still covered in spray from the falls. And the roar... conversation was difficult. What a wonderful place.